Self-made rancher Garrett Ross normally doesn't take orders – he gives them. But when asked to step in to act as a temporary foreman on a Montana ranch over the holidays, he can’t refuse. Light, easy read, with delightful characters. Especially strong, intelligent female character portrayed, here. Peta is both beautiful and tough as nails. Several other characters in this series have had their HEA and reappear here. I enjoyed this book very much, it speaks of different personalities and friendships over generations that spring from small towns and country life. Very enjoyable. Very nice story kept me reading along. Peta Dixon's life goal was to run Bluebell Falls Ranch on her own and prove to her father that she could run it as well as any man. While she was on a European vacation with her sister, her ranch foreman, Hal, got injured and ended up in the hospital. Hal called the one man he knew that could handle taking over his job until he was back on his feet again, Garrett Ross. Garrett knew the ins and outs of running a ranch even though he now made his money buying and selling ranches. But when Hal needed his help, Garrett didn't hesitate to rush to his aid. Peta didn't have time for a relationship, but from the first moment she laid eyes on Garrett, all sorts of thoughts went through her mind. Garrett's first impression of Peta was that she reminded him of every other materialistic woman from his past. But her looks were very deceiving. Once Garrett got to know Peta, he realized she was a down to earth country girl with all good intentions. she valued her ranch, the livestock and everyone who worked for her. Together, Garrett and Peta learn to open up and trust each other and accept whatever the future holds for them. His Christmas Cowgirl is the latest in Alissa Callen's Wildflower Ranch series and once again this author has delivered a lovely, warm page-turning story. 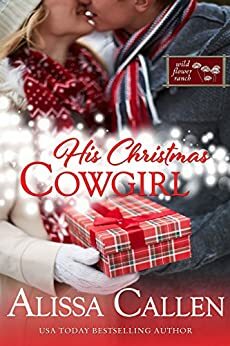 Set in picturesque Paradise Valley Montana this is the story of ranch owner and cowgirl Peta Dixon and her temporary ranch foreman Garrett Ross. Peta is accustomed to running a tight ship and is initially unimpressed when she finds Garrett has ignored some f her instructions, while Garrett's first impressions of Peta are also less than flattering. 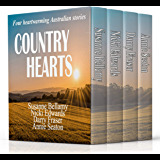 I love rural stories and this one fits the bill nicely with its balanced mix of cowboys, horses, cattle and small town country people. The story is well told and had me hooked from the first page. When a cowgirl butts heads with her temporary foreman, more than opinions collide. Secrets and stubbornness threaten to derail their hearts in this Christmas romance.